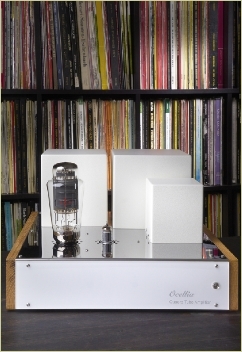 Welcome to the Ocellia website, designer and manufacturer of highest quality loudspeakers, vacuum tubes electronics and audio cables. Simply sit down in front of the new Quaero 300B SE or PP tube amplifiers and listen. The world around you seems to disappear, immersing the listener in a wonderful concert hall. We have pushed back all boundaries, rethought every detail and moved the new Quaero beyond what we once thought possible.